Strawberry Shortcakes The hardest part of this dish is not eating every single one of them! 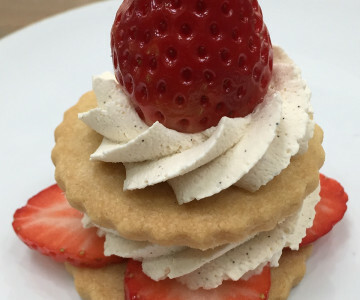 A perfect way to kick start the summertime with this classic combination of biscuit and fresh strawberries. Smoked Salmon Scones A quick and easy recipe that’ll add a luxurious touch to your afternoon tea, these scones work perfectly with the bold flavours of smoked salmon. Chocolate and Cherry Cakes An afternoon tea isn’t complete without chocolate cake. 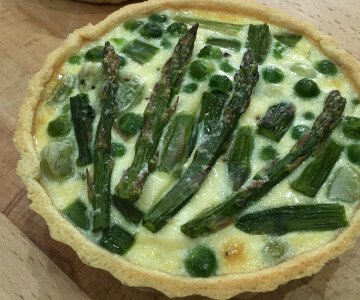 Add cherries to the mix and you’ve got a real treat on your hands, teamed with a splash of cream. 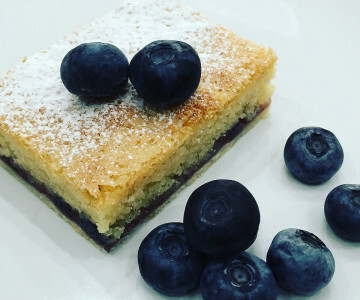 Blueberry Bakewell Tart Squares A British teatime classic, with a twist! Try this blueberry bakewell tart for the ultimate sweet treat, which almost looks too good to eat. Lemon Mini Paris Brest Originally created to celebrate the Paris-Brest cycle race, this delicious lemon based dessert is made from choux pastry and is perfect for anyone with a sweet tooth.